Home > Blog > Thanksgiving Dinner – Leave the work to us! Thanksgiving Dinner – Leave the work to us! 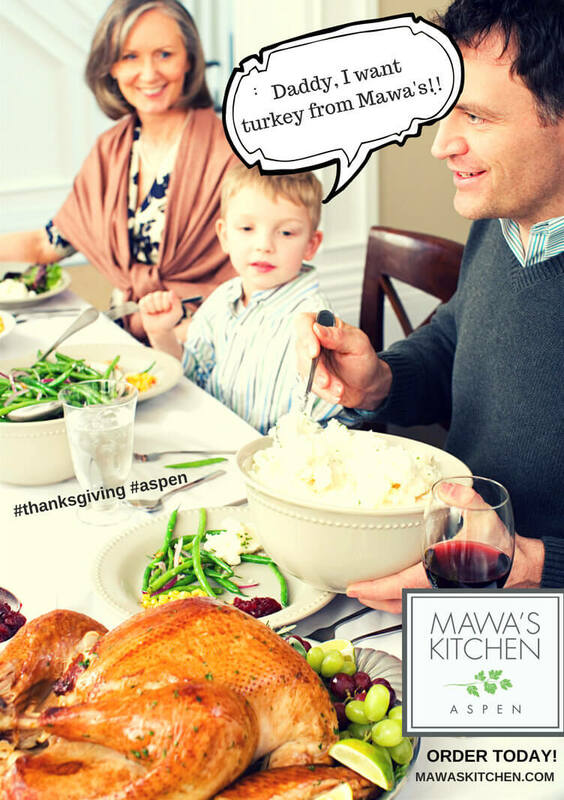 Enjoy Your Time with Friends & Family – Let Mawa’s Kitchen handle the cooking chores this Thanksgiving. Whether you need a full Thanksgiving meal or just a few sides, Mawa’s Kitchen in Aspen is the solution to your turkey day needs. We have full meals for families or groups, individual Thanksgiving dinners, and everything from soups, salads and sides to expertly prepared whole turkeys.